Altana was born out of sheer passion for the culture and aesthetics the property space represented, which in turn reflected everything that is real and authentic about the island of Santorini and the immense wealth of its history. The property that houses Altana was carefully and painstakingly restored by native craftsmen using local materials; it’s artifacts, treasures of past centuries were lovingly repaired to revive a home; a private family retreat. And as such, to this day Altana purposely maintains the feel of a private residence. Every original architectural rarity, every archway, every terrace, alcove, stairway and corner, every antique and artwork have all been devotedly preserved and combined with the latest technology, highest quality materials, hand-woven fabrics and modern amenities, transforming a dreamy space into a unique hospitality accommodation. Our deeply personal hospitality philosophy consists of values inherently connected to the wonderful peculiarities of this volcanic islands long history, traditions, culture, architecture, nature, agriculture, food and its native people. 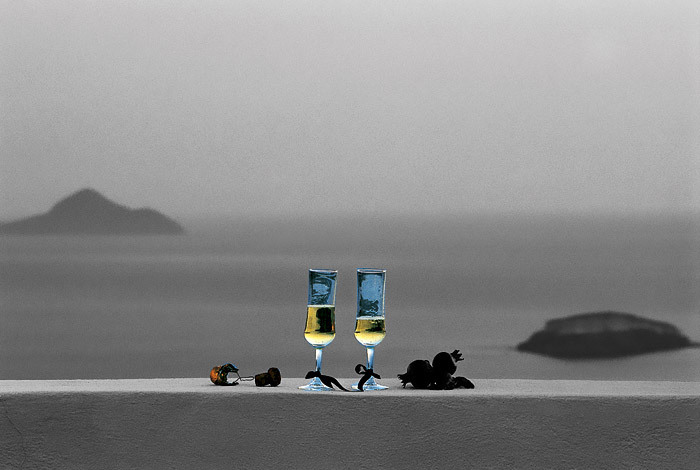 Our drive is to immerse our guests into a unique experience of discovery by sharing our passion for Santorini, while providing a hands-on, personal and discreet hospitality service. In admiration of the Santorinian heritage, we have created a space that exuberates tranquility and elegant luxury while sustaining a link to the past and the rediscovery of simplicity. We have no TV’s at Altana, nothing that distracts from the silence and the dramatic landscape of the volcanic caldera’s highest point. Altana is a place to relax, rest, take in the matchless views and recharge. Read, converse, breathe, feel and celebrate life away from tensions of the city; a place to escape from what we know into something new; travel into a new world and truly embrace the journey. We are now extending our activities to embrace wines, gastronomy and agriculture with the Altana farm. By growing our own fruit, beans & vegetables and incorporating the process into our hospitality services we continue to draw the connection between Altana and our passion for discovery, natural conservation, eco-friendly travelling and hospitality. At Altana we have created a setting where serenity is palpable and the connection between heritage and modernity is seamless. A plane where personal care and attention to detail makes all the difference. A hub where character meets spirit, and soul transforms creativity into perfection. By staying true to the roots of Santorinian tradition and infusing with it a world class hospitality service, we are proud that Altana has been described as ‘an Essentially Greek, Particularly Santorinian and at the same time Truly Cosmopolitan experience’.